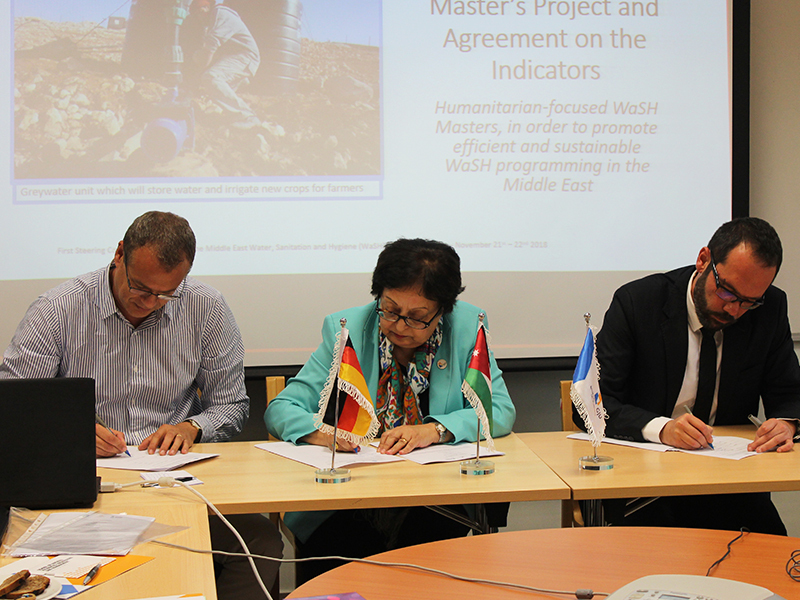 On Wednesday November 21, 2018 the German Jordanian University (GJU) president Prof. Manar Fayad, Bioforce Institute Director of operations, Hassan El Sayad, and Action Against Hunger (ACF) Middle East Regional Representative, Arnaud Phipps signed a cooperation agreement to launch the preparation phase for a Humanitarian Water, Sanitation, and Hygiene (WaSH) academic programs (Master Program, Professional diplomas, and other training modules) with funding from the United States Agency for International Development/Office of Foreign Disaster Assistance (USAID/OFDA). This project is coordinated by the School of Natural Resources Engineering and Management (SNREM). Dr. Munjed Al Sharif coordinator of the project said that after the preparation phase , the Master program will be the first of its kind in the Middle East Region and the third of its kind globally. In addition to Dr. Al Sharif, Dr. Arwa Abdelhay from SNREM is responsible for administrative coordination of the project. The humanitarian needs in the Water, Sanitation, and Hygiene (WaSH) sector are a top priority in this region due to the effects of extended conflicts, natural disasters, water scarcity, climate change and disease outbreaks. 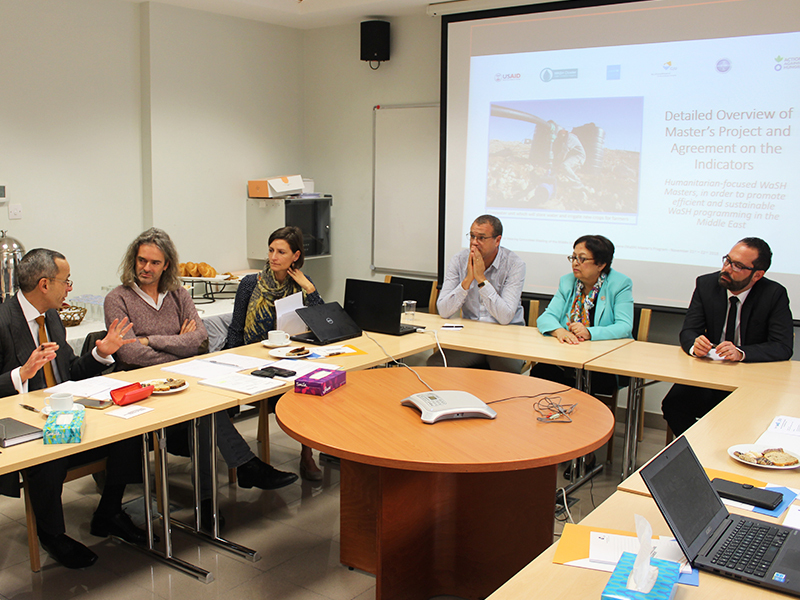 These academic programs (Master Program, Professional diplomas, and other training modules) envision strengthening WaSH program managers and coordinators to provide assistance with a strong humanitarian vision and practical field simulations in order to excel within the sector. 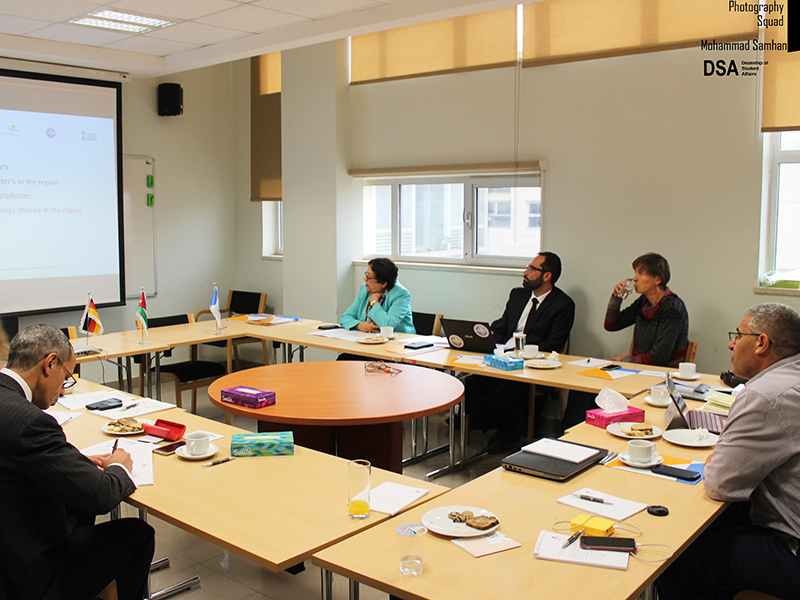 The German Jordanian University is the academic lead for this project and plans to host the academic programs within its institution. Bioforce and Action Against Hunger are technical and logistical support throughout the project with UNICEF and the Global WaSH Cluster (GWC) as technical contributors.